Accurate and affordable real-time UV254 and UVT monitoring solutions. We have solutions from wastewater to high purity for continuous organics UV254 or UVT monitoring. Clients’ can customize a solution for their application and water type with submersible probe or bypass options, multiple path length selections, and optional accessories to improve ease of use. 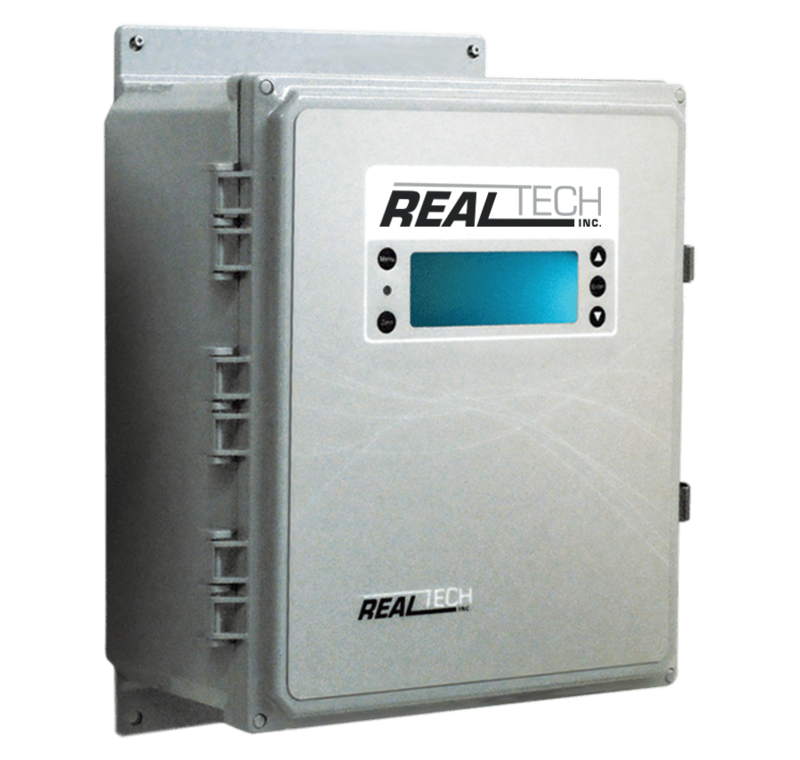 Real Tech’s M series UV254 bypass analyzer provides continuous real-time UV254 and UVT organics analysis with built in display. Benefiting from our innovative Ortho-Beam and Split-Sense Pro technologies, accurate and reliable measurements are output for the highest level of confidence in organics monitoring. Real Tech’s S series UV254 probe sensor benefits from a long life UV LED light source. Accurate and stable UV254 and UVT measurements are output for reliable monitoring in many wastewater organics monitoring applications. Requires controller. Real Tech’s ML series UV254 online sensor offers an affordable solution for real-time organics, colour and permanganate monitoring with high reliability and low maintenance. Requires controller.